Tonight I performed my very first **legit** improv show. Yes, I’ve been in several class graduation shows as well as late night Jams, but this was the first time I was invited to perform at an event as part of a team. It was a Monday night, the audience knew what they were getting into…or did they? I’m currently enrolled in a Singing Improv class taught by the talented Angela Perez. At one point last week she mentions that “We Have a GIG!” (Habemus Gigus in Latin) We are to make our call time of 9:45 on Monday and we will only be able to “sing” (yes, musical improv) precisely one word each. We dub our team “Zombie Shovels” after one of our scenes in class. We practice the format and we feel pretty comfortable that whatever happens, it will be just fine. On the Day of show, my mind is racing a bit. Like every performer, I really wanted to do my best as part of the team. I also want to be entertaining since people are actually paying for this show. I remind myself that I’ve performed on this stage (StageWerks on Valencia) at least 7 or 8 times. I’m comfortable with the venue. We will be great! As we arrive, our instructor lets us know of a change. This show is called “Mono Mania: A Word”. We later learn that this word is going to be the same word for the entire hour of the show. That’s right, instead of singing “one word each”, we will instead be singing “the same word”. All of us – for 10 minutes. God help those who paid $5 to see this. I hope it wasn’t their first improv show. Life changing, but in which way? I can already tell that the Pre-Show means very different things to different people. I think the largest gap comes from the experienced folks to the newbies. Experienced folks are really able to get “game ready” in no time. They are old hands at this! Whereas I find myself thinking a lot and wondering what it’s going to be like on stage. I should clarify that I do not get stage fright. In fact, when I hit the stage, everything seems to drop away. I’m laser focused and just trying to do a good job playing with the other performers. We wander around backstage and in the green room listening to the Openers begin their set. The “Voice of God” or Producer of the show asks for a one word suggestion. After some shouting, Voice of God selects “Pudding”, And the show begins. To make sure I’m getting this clearly across…Imagine if you watched a group of people who just said the word “pudding” as the only word they could speak. Communication comes from body language, inflection and tone, emotion. You can still do quite a bit with this constraint and it just goes to show that the funny finds you if you trust yourself, your team and just have fun. The openers go nuts. The laughs are slow, but they hit their pace and the audience really starts to get on board with this craziness. Time flies. Before we know it, it’s time to go on. We’ve been coached to come out on stage, wait for the Voice of God to ask the audience for a non geographic location where people assemble. Someone yells “France!” Another yells “A MALL!” Voice of God decides and we begin. We immediately break into a scene at a Mall where the only word we can sing is “pudding“. The show was great. We explored the space. We played downstage. We checked in with each other and created two songs that were pretty awesome considering the constraint. We all had fun and we were left to our own thoughts as we watched the next set wrestle with the one word constraint to great effect! Musical improv is a bit different that “normal” spoken improv. Yes, yes, the singing….but it’s not just that. The structure of the performance is quite different as I’m learning. There are a couple of scene types that I’ve experienced thus far. Keep in mind, I’m new to improv in general and very new to musical improv. Ok, I may have invented that term. Probably not…who knows? Essentially, a “Sonic Montage” begins when a player steps into the scene, begins doing Space Object Work that helps to set up the location the scene takes place. One or more of the players begins adding to the scene sonically, by which I mean sings a word or phrase – or perhaps contributes a sound. Should one of the players feel inspired, they might step forward and take a solo, where they improvise lyrics based upon the scene and their space object work thus far. The other players reduce volume to give them the focus. When the player completes their solo, the volume raises again and the “Sonic Montage” continues. Players are free to move and support each other. They can even change their word/sounds around. Eventually, all of the players work to find an ending that is replete with all the normal flourish of a Broadway show (hopefully!). Admittedly a less original name than “Sonic Montage”, but just as much fun to play. This type of scene opens normally with players speaking if they choose. 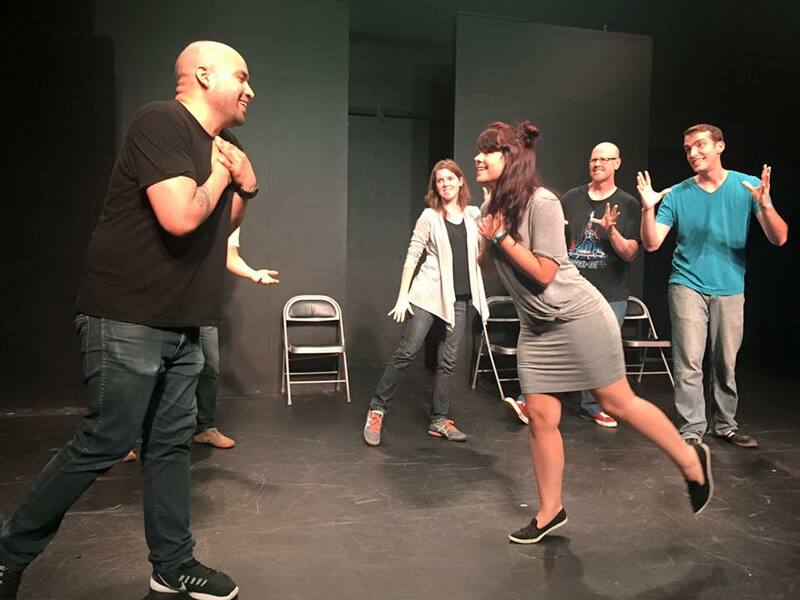 They establish their relationship, where they are, etc, just like a regular improv scene. It’s just as full of traps as any other scene, except in this case, you’re going to be singing those traps. 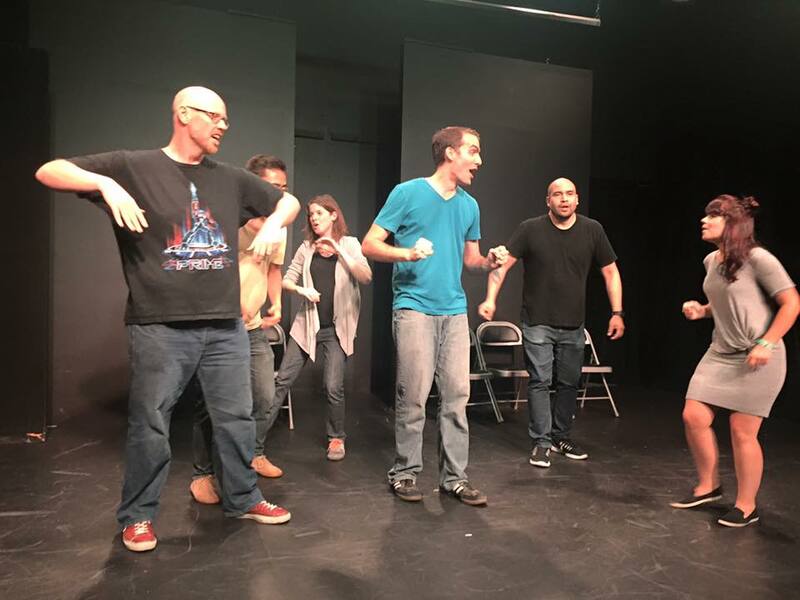 I give FULL credit to Brian James O’Connell for opening my eyes to the fact that there are NO mistakes in improv, there are only traps. It’s very liberating to realize that all new improvisers fall into traps and that learning about them is the way to avoid future pitfalls. As the scene progresses, one of the players will ultimately drive to song. Usually a natural extension of the scene, the soloist turns to the audience and the other player takes a soft pause as if the are frozen in time while the singer improvises. The structure of these improvisations can be mashed up just as frequently as any other improv type, but a basic format is Chorus-Verse-Chorus whereby a player establishes the basis of their Point of View while expanding their thoughts into the scene. The Verse may be 2-4-6-8 lines or as many as appropriate. The player then returns to the Chorus and resumes the scene. From there, it can go right back to speaking, which is awesome from a composition standpoint. I’m really loving the contrast of speaking and singing within the very same scene. It does wonders to the mind! I’ve also learned a couple of sneaky tips in the short time since I started practicing improvised singing. First, if you hold a note, you appear to be embellishing an emotion, which you can do nearly effortlessly. I find that I’m determining my next line in this time and I do not fall into the trap of “Invention” where a spoken improviser may stammer or break her cadence making it obvious that the brain is working very hard on the next line. – Fun Times. Can’t wait to see where this all goes!